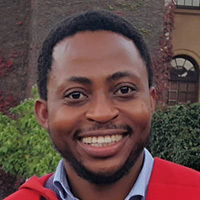 John Ele-Ojo Ataguba is Associate Professor and Director of the Health Economics Division in the School of Public Health & Family Medicine at the University of Cape Town (UCT). John is a Commonwealth scholar and an economist with research experience in many African countries. His research interests include health inequality, equity in health and health care, social determinants of health, impact evaluation, and health financing. He is a former Executive Committee member of SAYAS.